One of the wonders of the ancient times is that many tribes and nations from different continents independently discovered and built patterns we call Labyrinths. 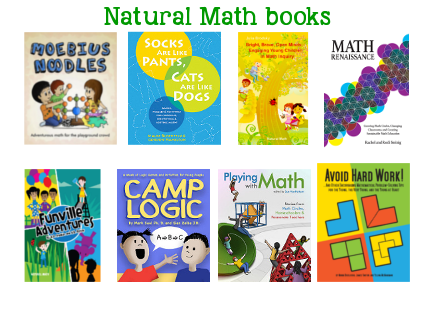 Some math ideas are universal like that! 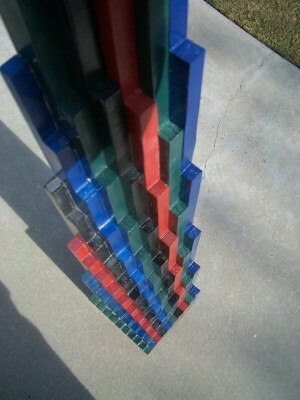 Over the last decades, the Multiplication Tower idea has been appearing in many different projects. 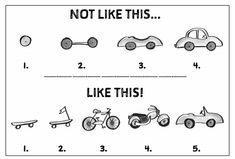 We interviewed authors from the 1970s to early 2000s, and it turned out they came up with the idea independently! But for the last few years, we’ve all been talking to one another, directly or through our blogs. Kids and their grown-ups build multiplication towers using many kinds of materials: wooden blocks, LEGO bricks, software and 3D printing, and beads. 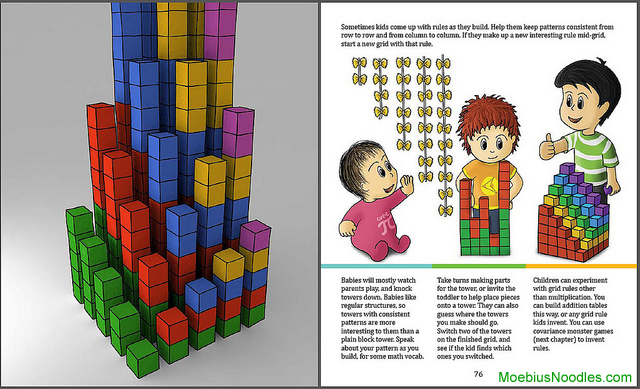 We have a chapter on Multiplication Tower games for young kids in the Adventurous Math for the Playground Crowd book. It summarizes ideas from many other projects on this page. In a blog post with many quality photos and thoughts on commutativity, Malke shares her easy-to-make, beautiful version of the Tower. 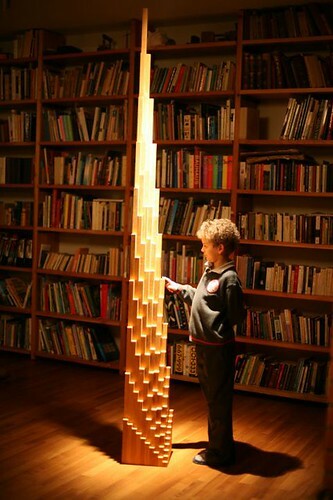 Malke writes: “When we started building this tower the questions started flooding in. 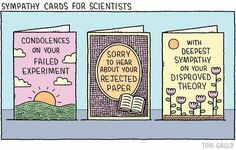 I started wondering about a LOT of things…” Indeed! So will you wonder, if you build the tower. In her blog post, Sarah included detailed instructions and her thought about the design. She writes: “The finished graph lends itself to interesting observations if you look at it from different angles. I ordered the blocks from the Pick-a-Brick section on lego.com. 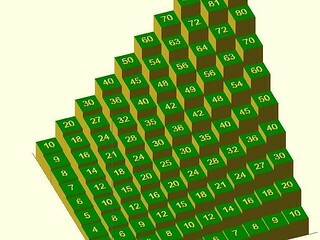 We have invented several math activities with these bricks (more posts to come! 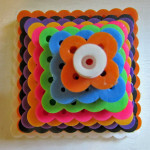 ), and it has been totally worth the cost.” Sarah’s activity was inspired by Malke’s beads. What a creative way to replace materials! The blog post explains: “We didn’t have a foam block, so we filed a cardboard box with cotton to serve as our base. 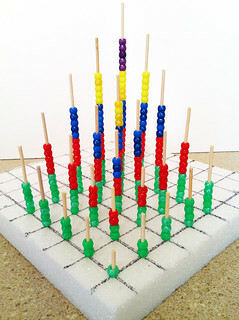 Then we stuck in wooden skewers in a 5×5 grid pattern, and added beads to that corresponded with the multiplication tables.” This activity was inspired by Malke’s beads, as well. 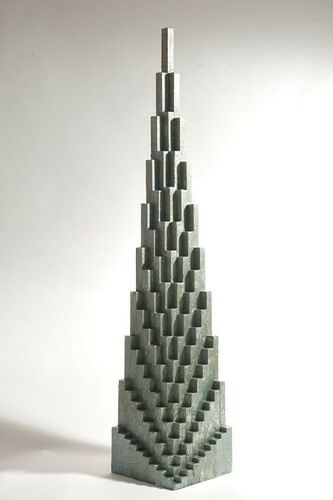 In 2013, several tower model appeared on Thingiverse, a 3D printing site. 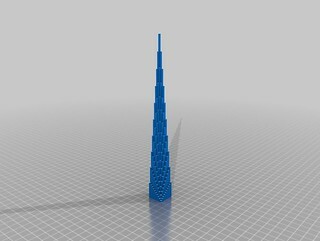 You can use these files to print your own towers. Andrew’s tower was originally inspired by Michael Punzak’s wooden model we describe below. Roman’s tower comes with captions in Roman numerals and Braille. It’s also made of thin tiles rather than cubes. These two features make for more formal or abstract remixes. 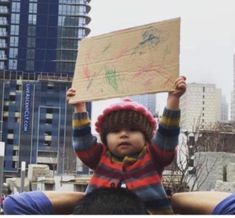 Brenda is a physicist and a creative parent. 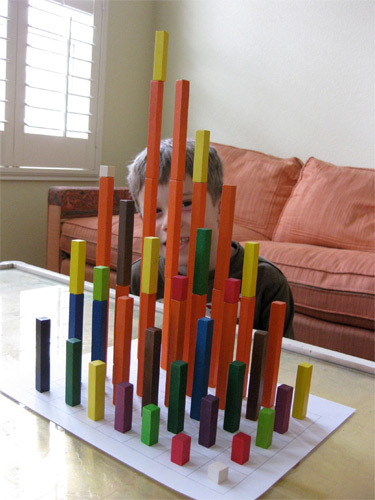 When her son Corbin set out to make a multiplication table with Cuisenaire rods, he built the first set of towers on his own. 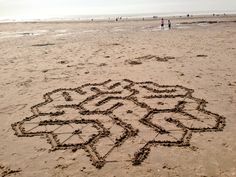 Brenda writes: “In ‘helping’ make it symmetric, I ended up knocking over most of what he had built. We built this together. 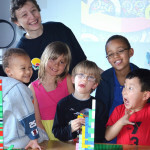 Corbin was responsible for the multiple block levels, as I couldn’t balance more than two blocks.” It helps kids to know they are giving real help. Take a page out of Brenda’s book: be open about the areas where you need help. 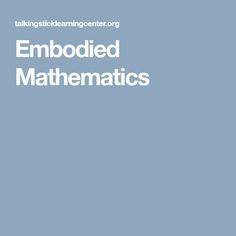 Colin made a collection of 20 math adventures with LEGO, modeled with the free Digital Designer software, and invited colleagues to add more ideas. 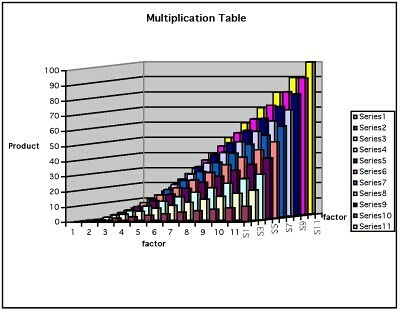 Here is the multiplication tower from his collection. The design studio from Gdansk, Poland made this giant tower and took several artistic photos of it. 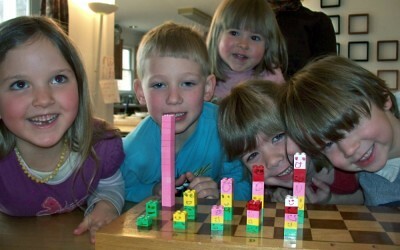 Five Math Circle kids built these LEGO towers on a chessboard in 2010. The story was that each block was a creature (hence the smiley faces) that kept growing from row to row. 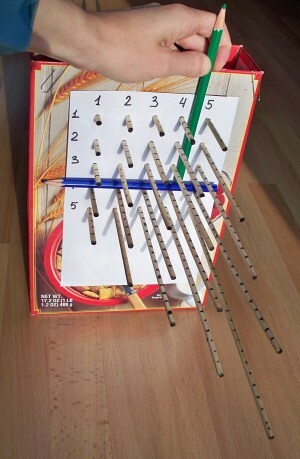 Later in 2010, the same Math Circle built a model with a cereal box and bamboo skewers. The picture shows the 3 by 4 array with pencils. The skewer in the lower right corner of the array sticks out by 12 units, that is, 3×4. 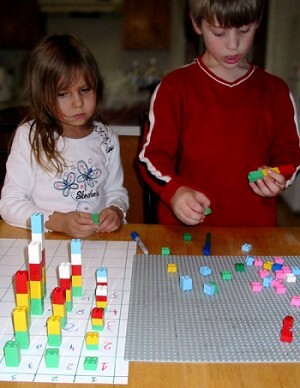 An earlier picture, from 2004, shows two kids from a Math Circle building with LEGO on a poster board. 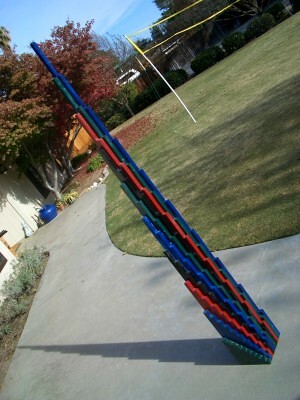 In 2010, Dor wrote: “Multiplication Tower as an Object-to-think-with.” Well put! 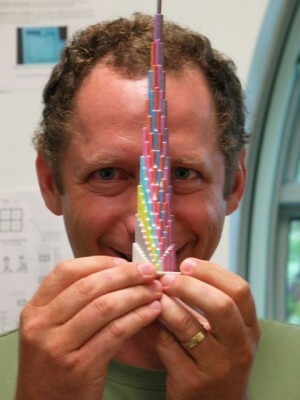 Check out Dor’s page about 3d multiplication, with more pictures, at his Embodied Design site at University of California, Berkeley. This six-foot structure made of wood was constructed by Michael Bryant, one of Dor’s graduate students. In 2005, when 3D printers were still rare, Paulo Blikstein printed this model at Uri Wilensky’s lab. Here is Dor playing with the Tower. Paulo now leads Transformative Learning Technology Lab at Stanford. 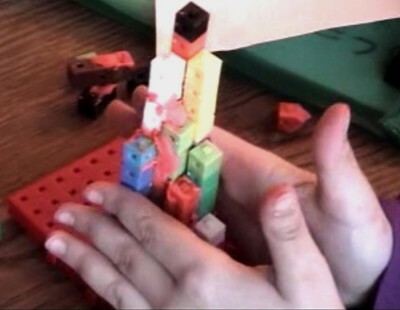 Here is a third grader building the multiplication tower from plastic blocks and play-dough in one of Dor’s experiments in 2001. That was the year Dor designed the tower, first as a 3D output from a spreadsheet. Here is that historic document. 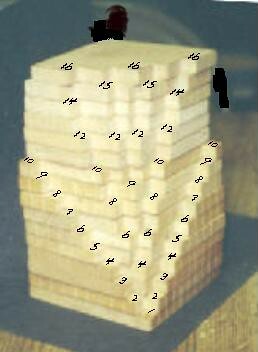 In the oldest multiplication tower we found, the layers were cut out of wooden Dienes blocks by Don. 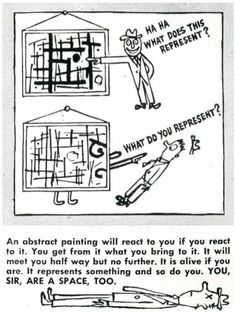 He has kept it around for his students to build up the layers and to find more patterns. 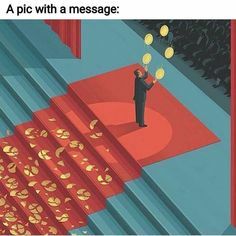 His camera wasn’t good at close shots, so the numbers here are written over the picture. 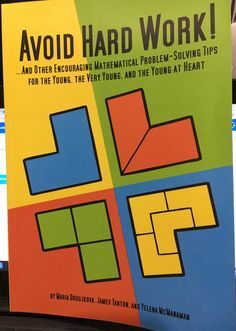 Check out Don’s work on calculus by and for young people! 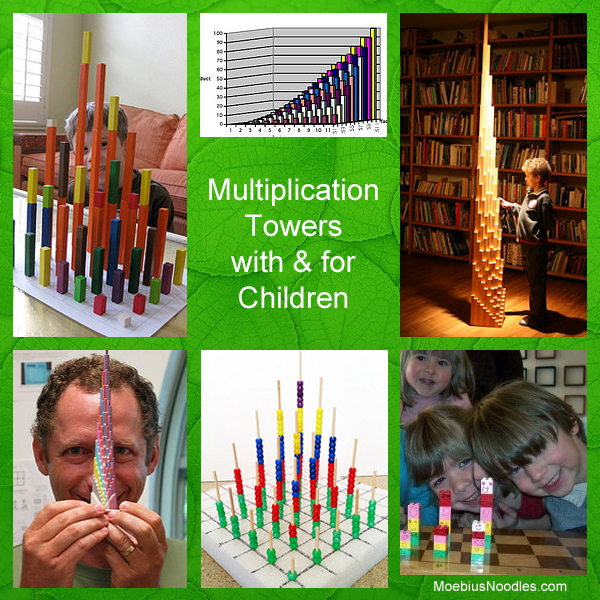 Those multiplication towers that are “life” size or taller have the “Wow” factor needed to hook those that might be “oh, hum” with the table top size. Love them, let’s make them taller and put some in playgrounds! What’s in a color? 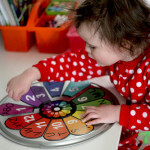 How would (or did) Maria Montessori use color in constructing a multiplication tower? Where might I post a couple images? 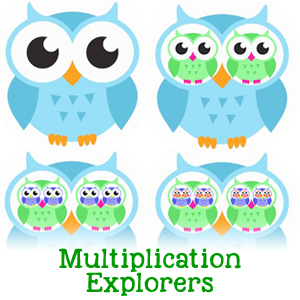 You can email images to moby@moebiusnoodles.com so we post them in the next issue of Multiplication Towers. 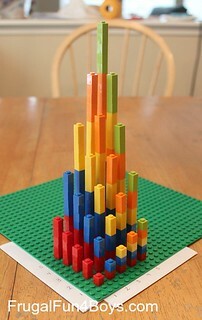 I was thinking of implementing this with Montessori beads. I think you’d have to hang them down from a fabric grid, so you can hook the beads to the fabric. Will love to see this! 2 Pings/Trackbacks for "Multiplication Towers"